The Reaktionsf°llmittel Zacki ELAPOR ® fill up, was specially adapted for ELAPOR ® and the combination with Zacki ELAPOR ® super liquid. It serves as a filler, in particular if different materials and non-positive components must be connected together. 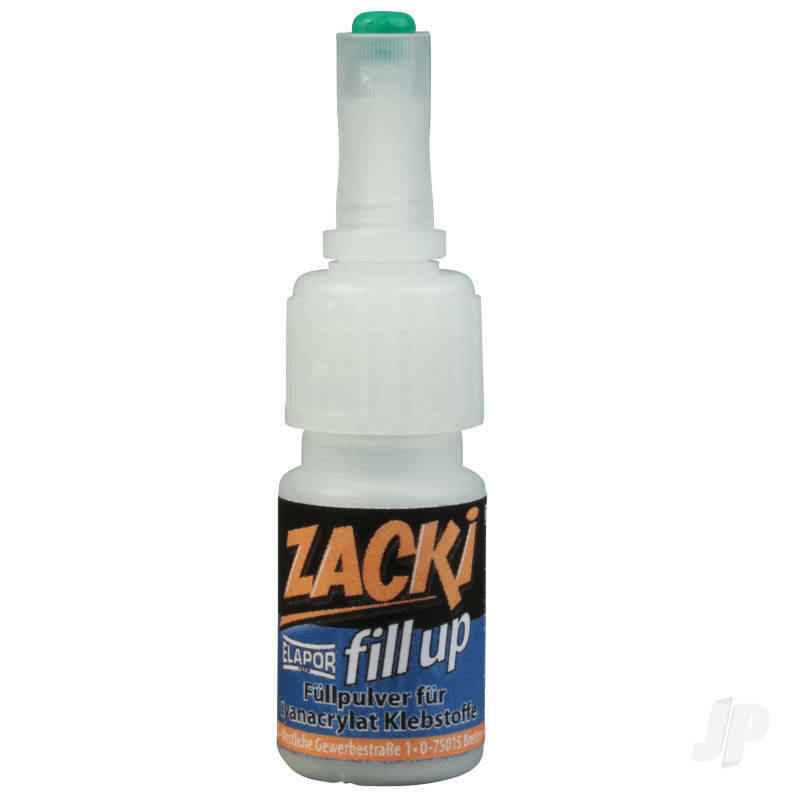 Therefore Zacki ELAPOR ® fill up is a great help with repairs. You can of course super liquid with the combination Zacki ELAPOR ® fill up and Zacki ELAPOR ® also connect with each other or with other materials ELAPOR ®. You can also find more similar products in the Multiplex brand store in Accessories/Glues.